For the next two weeks, the Career Center will be giving away dozens of Passion Planners. You definitely do not want to miss this. What is a Passion Planner, you ask? On Tuesday, March 20, the Career Center will be at the bell tower from 11 a.m. to 1 p.m. taking photos of students. Take a photo and share what God has been showing you about your passions during your time at Biola. We encourage you to share your passion with #mypassionis. If you schedule and attend an appointment with the Career Center within the next two weeks, you will also be entered for a chance to win! Many people in America experience a “passion gap” in the workforce. A study from Deloitte found that 87.7 percent of Americans lack passion in their work and are therefore unable to contribute top-level performance. The problem with terms like “passion” and “calling” is the singular nature of the words. This can create the idea that if you don’t find your passion or calling, then you have failed. So what should you do? Instead of trying to find your one passion or calling, start by considering the interests God has placed on your heart. What do you enjoy doing in you free time? What skills come naturally to you? What are you curious about? After you have identified your interests, consider what career fields integrate those interests. If you need help with this, check out SuperStrong, a tool that will help you link your interests to possible career fields. Sign up using the code “Biola-enroll17”. You may find opportunities in fields you may have never considered. Is there anyone you admire for what they are doing? Schedule a time to meet with them, or reach out to them on LinkedIn. Ask them about their career journey and how they ended up in their field or position. You may be surprised to find their journey was not what they expected at all! Take a look at Biola professor Susan Lim’s story. 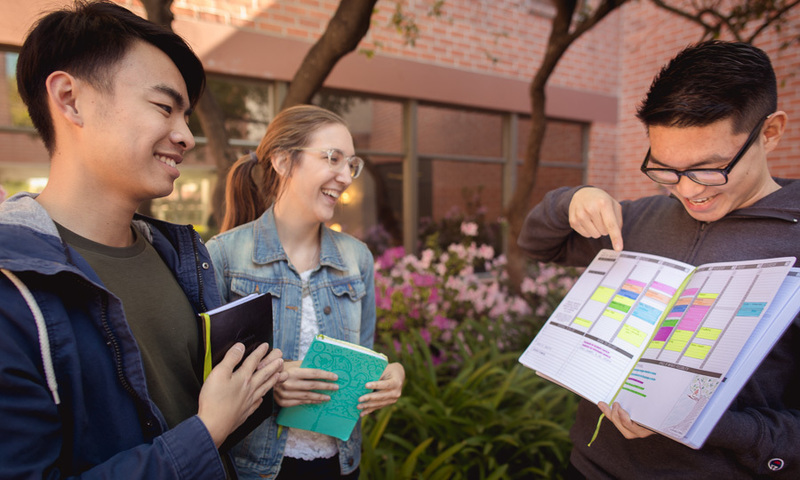 Professor Arianna Molloy challenged students in an interview with the Biola Hour to become aware how God is constantly cultivating a sense of calling within us. You may not have a single “passion moment” that redefines your life, but know that God is guiding you through every season and experience and has uniquely gifted you to build his Kingdom. Your passions, interests, and calling all serve to give God glory, and even in the mundane moments, you can still worship God in your current circumstances. The Career Center is committed to helping you in your career journey. Below you will find additional resources to help you along the way.